Rehaan gets astonished and shocked when vish attacks Bela. Andy and other members come and Rehaan tells that vish wants to kill Bela but however vish handles the situation and says him that he has not taken his medicines that why he is saying this. Andy apologizes her and she says that she is there to check the place as she had invested on it. Mahir then says Rehaan to stop drinking and says that it is just his hallucination. Rehaan sits in the car and thinks to find out that what happened. Bela. Bela also comes Naagin attire. He gets shocked and scared and tries to run out to save himself, but the door gets locked. Vish bows in front of Bela and calls her Naagrani and asks for her order. Bela tells her that she doesn’t give orders to friends and says you are my best friend. She says her that this deep and sacred relation will never change even after wearing the crown of power. Rehaan screams and asks for help. Vish tells Bela that she was going to bite Mahir, but just then Rehaan saw her. Bela then says that she came there to alert her, and he followed her. tells her that Bela is not in the house. Bela and Vish together come back to haveli and dance on the song Naagraaj tum aajawo. A big snake comes there. Bela goes towards the snake and sits on the snake lap. Other snake comes and makes her crown. Vish calls herself as her Daasi and then greets her. Bela asks her not to call herself as Daasi. Vish says I would have killed Maahir today, and complete your revenge but … She then calls Bela as Ruhi and says she wanted to take revenge her love Vikrant. Bela is Ruhi and says she had forgotten her name. They come to that place. 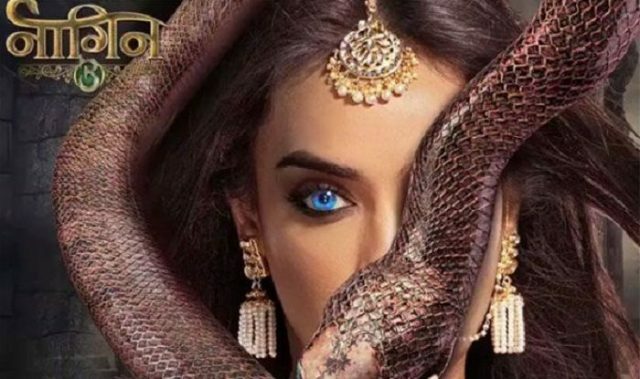 A past is shown:- In which Vish tells Ruhi that she will become Naagrani that day. Ruhi says that she will get her crown after some days. She tells that she is very glad to get Vikrant whom she loves for 100 years. Then Vikrant comes there. Vish says that I shall leave from here. Vikrant calls her the Naagrani. She says that she will always be his Rani. Vikrant tells that she is of a high status and he is from below status. Ruhi says we will then convince our families. Vikrant asks her to not to forget him and Ruhi says no. Bela tells that those guys had killed my love Vikrant and then I have pledged to kill everyone. She tells that she then got a new face. They then talk about their plan. humans are not bad. Bela says only some humans like suhani and munshi chacha.Maahir then calls Bela and tells Sumitra that she is too upset and maybe she has gone somewhere. He says they have to wait. Sumitra then apologizes to Mahir for getting him married with Bela. Maahir says I didn’t break any girl’s heart to marry Bela and says he had married for his parents. Sumitra consoles Maahir that their love story will be love story soon. Bela says she will play death game with everyone and will kill them and Vish asks her if someone will searches Rehaan then, she says to not to worry and take out his phone and messages to Boltu that he is going for his farmhouse for somedays. Vish says her that she shall go as she is a newly wedded bride. Vish that she had seen Maahir holding a gun and told that he had killed Vikrant. Mahir says it is 11:50 pm. RJ says even Vish is not there. Then Sumitra says it is good and tells that Bela gets upset on seeing her. Mahir thinks if Bela had went to the Haveli. He goes to search her. Anu says where is Rehaan? Boltu tells that Rehaan had messaged him that he is going to farmhouse. She says why did he go there. behind his car in her avatar.